New data from QV leaves little doubt that property value growth is slowing around the country, but that doesn’t mean a major decline is coming. Nationwide values grew by 0.9% over the three months to January and by 2.9% over the past year, leaving the national average value at $684, 468. In a similar vein, many markets around the country saw drops in the rate of quarterly value growth in January as compared to recent months. This was particularly evident in centres like Dunedin and Wellington which have seen strong growth of late. Wellington saw quarterly growth of between 1.9-3.9% over the previous five months, but value growth dropped to 1.1% in January. This left the region’s average value at $693,448. Dunedin’s quarterly value growth slowed to 2.9% in January (leaving its average value at $436,208). In December, it was 3.5% while in November it was 3.8%. Meanwhile, Auckland’s value growth dipped by 0.1% over the past quarter and by 0.9% year-on-year. The average value for the region is now $1,045,775. One region went against the grain and recorded particularly strong value growth: that was Hawkes Bay. Hastings saw quarterly growth of 10.8% while Central Hawkes Bay continues to build on a strong annual growth figure of 19.6%. QV senior consultant Paul McCorry says that affordability constraints and low supply continue to maintain modest value growth across most areas. “While the loosening the LVR restrictions will have enabled some new buyers to enter the market, this has been offset by a number of policy changes – both confirmed and anticipated – that has put a dampener on investor enthusiasm in the short term. Moving forward, QV is predicting more of the same in the coming months, McCorry says. That’s because the underlying drivers of the economy remain positive, with a strong labour market, ongoing migration and interest rates remaining close to historic lows. CoreLogic senior property economist Kelvin Davidson agrees, saying the market starts 2019 in the same subdued way as it ended 2018. The Auckland data, which illustrates the region’s affordability issues, is worthy of note, but Davidson says jumping to any conclusions about it having entered a new weaker phase wouldn’t be advisable. 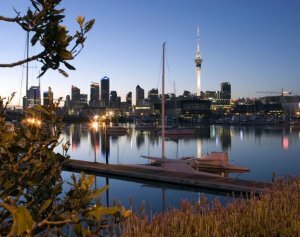 While there are headwinds for Auckland, and the market as a whole, the prospects for 2019 haven’t changed, Davidson says.